One of the biggest names in the history, dubbed the “God of Songs”, Jacky Cheung has enjoyed a career filled with superlatives. Legendary Jacky Cheung to perform at the Cotai Arena, The Venetian Macao with Suncity Group Presents‘A CLASSIC TOUR Jacky Cheung World Tour Macao’ . One of the biggest names in the history, dubbed the “God of Songs”, Jacky Cheung has enjoyed a career filled with superlatives. With record sales surpassing 25 million, he is regarded as one of the ‘Four Heavenly Kings’ in the music industry. It has been five years since his groundbreaking 146 show ‘½ Century Tour’ back in 2012, which has once again broke Cheung’s own record for the most concerts held within a single tour among Chinese singers. The tour has recorded more than 2.8 million audiences. 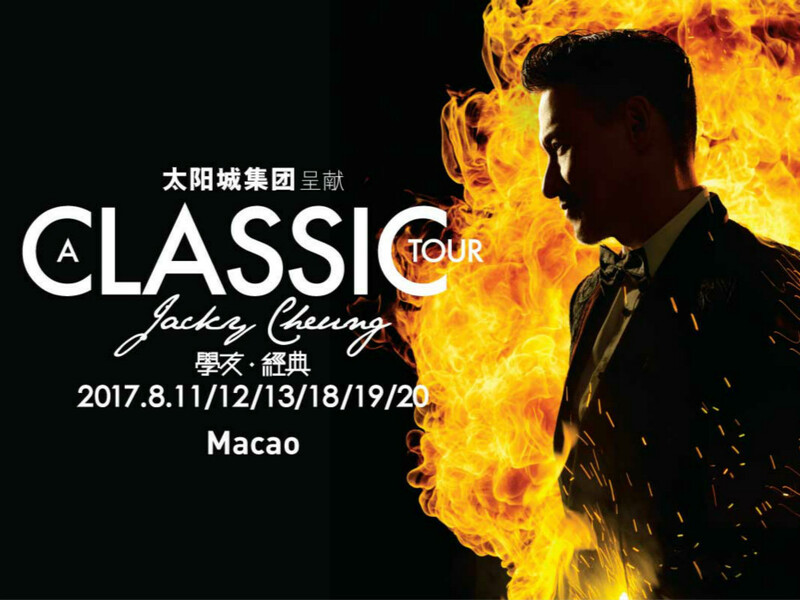 For Suncity Group Presents ‘A CLASSIC TOUR Jacky Cheung World Tour Macao’. Cheung plans to combine his past, present and future to create an exciting new international Chinese music extravaganza. Visually he plans to use fire as a major element, symbolising eternity, and representing not only his own classic songs and hits, but embracing a classic theme on all levels.